In 1970, Senator Gaylord Nelson of Wisconsin was moved dramatically by experiencing the devastation of an oil spill in Santa Barbara, CA. He wanted to do something about it to make a difference. So he knew he needed to create interest and he summoned the media. He knew he needed cooperation, so he crossed the aisle and teamed up with Republican Pete McCloskey, to begin brainstorming ideas. Amazing! He also recruited Dennis Hayes to lead the eighty-five staff members to use their creativity to help those concerned model new habits at the many nationwide events held that year Through interest, cooperation, creativity and modeling, he has made a difference in my thinking these 45 years later. 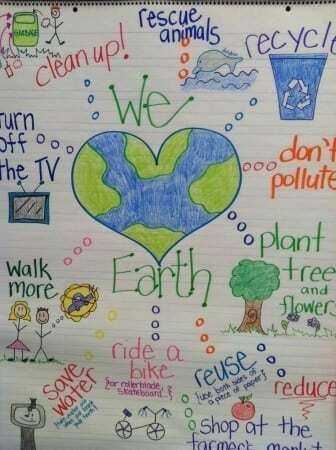 Check out the recent lesson I wrote to help your class learn about the history of Earth Day. The Earth Day lesson has a sorting activity where students sort the glass, plastic and paper items to make sure we do it properly. In our family, we need to remind each other sometimes when someone sticks a cake mix box in the regular trash, or someone forgets that an empty glass jar can help someone else use less water in their yard. There’s also a quiz at the end of the lesson so you can see what your students have caught from what has been taught. I always appreciate having that built into the lesson to help teachers reduce the time they need to spend on preparation. My habits have been forever changed by the interest, cooperation, creativity and modeling I have witnessed. 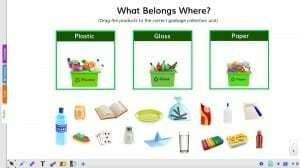 Because I now sort my trash, find new uses for yogurt containers, go to the recycling center to get pecan shells for my flower beds, and look for recycled paper products to purchase at the office supply store. Senator Gaylord made a difference in my daily habits through education, because before 1970, I can guarantee I didn’t do any of these things. No one had even heard of recycled paper back then, but we sure used a lot of trees up in my classes. 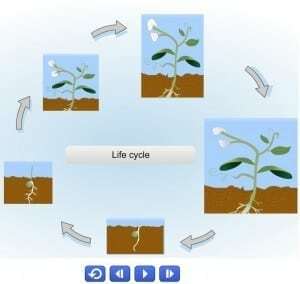 This year as your class celebrates Earth Day, you might want to stir up some interest by using the Plant Cycle animation tool and planting a tree or two around the school yard to provide year round earth-mindedness. How about sharing some of Gynzy’s new tools to help your students appreciate the value of water, one of our most valuable resources? Do your students know how waste water can be cleaned for further use? 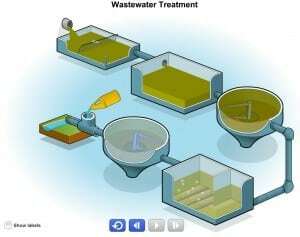 You may be interested in this animation which illustrated the main stages of waste water treatment process. It would be a great addition to your Earth Day celebration. We drove a huge gas guzzling Lincoln Continental back in those days. There weren’t any carpool lanes on my freeway back then. Learn to take care of non-renewable energy resources by identifying what they are. 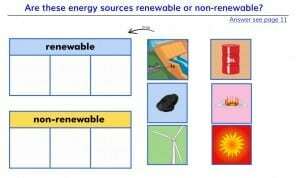 Try the new renewable and non-renewable lesson to compare and contrast renewable and non-renewable energy, understand what fossil fuels are and how they are formed, study how electricity can be generated from of energy sources, examine the benefits and drawbacks of energy sources. 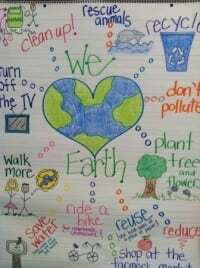 Build interest in the new challenges to the earth we face in 2015 with a poster contest. Cross the aisle to cooperate with the art teacher to stir some creative trash to treasure creations or hold your own Flea Market Flip. You also could model some new habits, like using less worksheets or bringing your lunch in reusable containers. You may not receive the Presidential Medal of Freedom like the senator did in 1995 — the highest honor given to civilians in the United States — other forty five years, one of your students may be using a new habit you modeled just because you made a difference in their thinking.